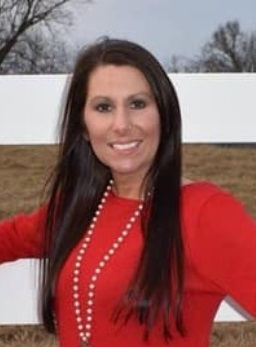 Trish White, 38, of Jacksonville entered into the loving arms of Jesus on Monday, April 8, 2019. She was born May 9, 1980 in North Little Rock, Arkansas to Charlie and Wanda Box. She was a dedicated teacher and a member of Victory Baptist Church. In addition to her parents, she is survived by her husband, Cary White; daughter, Gracie White; her teacup yorkie “Snickers”; sisters, Misty Plant (Jason), Ginger Thompson (Josh); nieces and nephews, Coty and Ashlyn Thompson, Jackson and Raylee Plant; mother and father in law, David and Pam White; sister in law, Angie White; and many other extended family and friends. Trish was preceded in death by four grandparents. A visitation will be from 5:00 to 7:00 p.m., Sunday, April 14, 2019 at Smith - North Little Rock Funeral Home, 1921 Main Street. Funeral Service will be at 10:00 a.m., Monday, April 15, 2019 at the funeral home. Burial will follow at Bethel Cemetery. Memorials may be made to any charity of your choice.